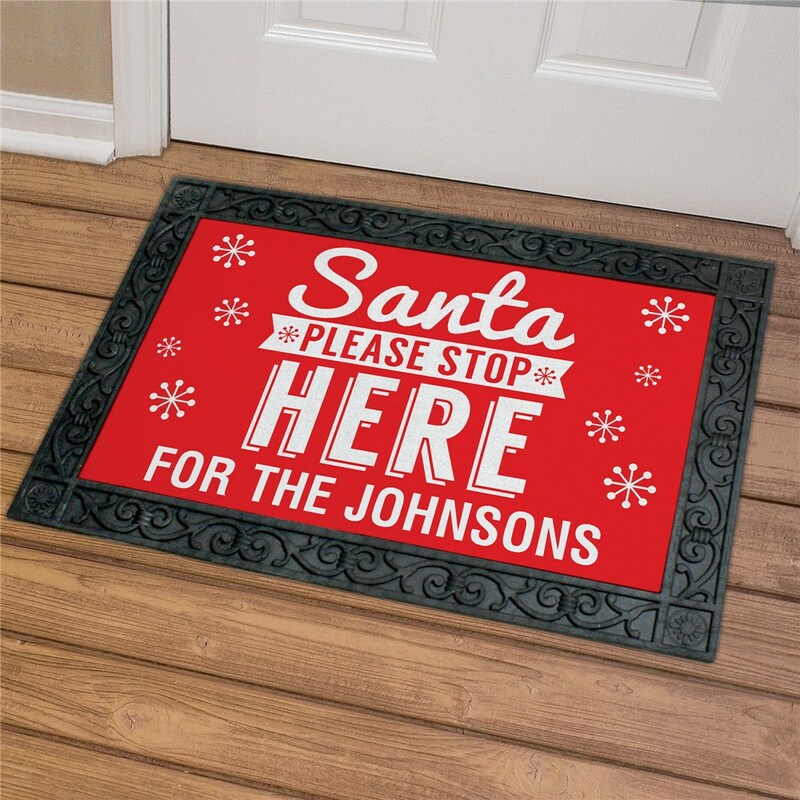 Greet your guests with this fun Santa stop here doormat. We'll custom personalize this Christmas Doormat with any custom message for a unique gift you can call your own. This doormat is perfect for indoor or outdoor use.